TV programmes like CSI and Silent Witness inspire many young people to seek a career in Forensic Science. If obtaining a degree leading to doing a Masters in Forensic Science is your goal, you should consider taking A levels in Chemistry, Biology plus Mathematics, and gain a degree (2:1 or above) in Chemistry, Biochemistry, or Molecular Biology. You will also need to have excellent communication skills, plus an inquiring and methodical mind. 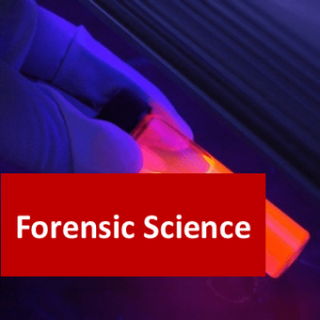 So how can completing our Introduction to Forensic Science help you? 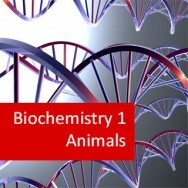 Quite simply, it will help you decide whether forensic science is the career for you. If you could make an in-depth study of what a career in forensics entails before making a decision you might regret later, wouldn't you want to take the opportunity to do so? After all, gaining a Masters Degree in Forensic Science is both a time consuming and costly affair. Completing this excellently conceived introduction to the principles of forensic science, makes it possible for you to test the water", before committing 4 years of your life to a PHD course. You can begin this course at any time and because it is self-paced, fit it in around your other studies without any pressure to finish it within a set time. Define forensic science and its various offshoots. Describe the application of forensic science to investigation of crimes and legal process. Explain crime scene investigations, different categories of evidence, and their collection procedures. Explain how different types of evidence are tested and analysed on site and in the laboratory. Discuss how evidence may be used and/or interpreted. To explain the roles of individuals working in specialist forensic sciences and the services they provide. To explain the difference between civil and criminal court. Understand theories underlying criminal behaviour in men, women and children. Understand the link between mental health disorders and criminal behaviour. To explain how assessment and data collection is used in forensic sciences, law enforcement and psychology to profile criminal offenders and provide intelligence. Understand how evidence is presented in court and issues surrounding eye witness testimonies. Explain what ethics are, and why they are important in forensic science. 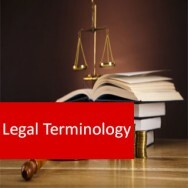 Explain the importance of ethics in the concept of protection of a person or persons within the court system. Explain how ethical issues can influence collection of evidence, use of data and profiling. Carry out searches online for job vacancies in forensic sciences or specialist forensic fields. Try to find at least five (if possible), but no more than ten. Prepare a list of: Where the jobs are located e.g. laboratory, university, police, plus what the job role entails. Conduct research online, in a library or using texts and other literature you have access to. Investigate one person mentioned in this lesson who has made a significant contribution to forensic science (or choose someone else who you are aware of but who is not mentioned here). Try to find out their background, their area of work, and any significant contributions they have made to forensic science. Conduct research online, in a library or using texts and other literature you have access to. Investigate the validity of forensic science evidence. Consider: a) How can foundational validity and applied validity be a help or hindrance to forensic science? b) What measures could be taken to enhance acceptance of forensic techniques? Go online and watch several short videos concerning two different methods of forensic fingerprint collection. Search using phrases such as “latent fingerprint collection video”, “forensics video lifting fingerprints” or “patent fingerprint collection forensics video”. Spend about half an hour doing this and make notes. Go online, search in a library, or use any texts you have access to. Conduct research into any two of the following trace evidence collection procedures: Take whole object, Take part of permanent object, Take scraping from permanent object e.g. paint from car, Collect soil or rock sample, Swab a surface. Make notes. Select three types of substances screened for in drug and toxicology testing. Research screening techniques for these substances. Spend no more than 1 hour on this task. Research the Law of Circumstantial Analysis and circumstantial evidence. Spend no more than 1 hour on this task. Research types of DNA analysis. Select 2 types, and read about this in depth. Spend no more than 1 hour on this task. 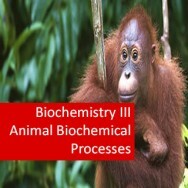 Select one of the following, and research its procedures and application in forensic sciences. You may wish to create a table or other diagram to organise your research. Spend no more than 90 minutes on this task. 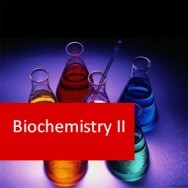 • Forensic odontology • Forensic palynology • Forensic ballistics • Forensic toxicology • Other sub-area of your choice. Investigate the types of analysis performed by a forensic anthropologist. Take notes. Spend no more than 30 minutes on this task. Carry out online research into a famous criminal. You may choose someone like Ted Bundy, Al Capone, Charles Manson, Jim Jones, Fred West, Rosemary West, Myra Hindley or anyone who interests you. Find out more about what they did. Carry out research into child criminals. Choose a case that interests you and carry out research. Conduct research online, in a library or using any relevant texts and printed material you have access to. Find out: a) What the law is in relation to convicting people with mental disorders of crimes in your locality or jurisdiction i.e. are mentally ill people usually diverted into treatment programs or imprisoned? If they are imprisoned, what treatment options are available to them? b) If there are any differences in the treatment of mentally ill offenders depending on the type of mental illness they have. c) If there are any differences in the treatment of mentally ill offenders depending on the type of crime or severity of crime. Conduct research online, in a library or using any relevant texts and printed material you have access to. 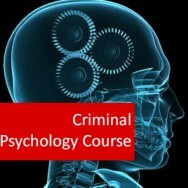 Find out about psychopathy and violent crime. Go online and watch a short video or two on criminal profiling. You could use you tube or a search engine. Search using phrases such as "introduction to offender profiling video", "criminal profiling video", "video what is offender profiling?" Make notes. Research a case that interests you online or at your local library. Think about the forensic evidence discussed, and why it is relevant or important to the case. (If the evidence in your case is not discussed, make a note of this, and think about desirable evidence.) Spend no more than 90 minutes on this task. Research what constitutes admissible evidence in your area. Take notes. Spend no more than 30 minutes on this task. Research the reliability of either eye witness testimony or expert witness testimony. Take notes. Spend no more than 1 hour on this task. Visit websites, such as the American Psychological Association, British Psychological Society, Australian Psychological Society or a similar organisation in your local area. Find out what their ethical guidelines are in terms of forensic psychology. Spend no more than 1 hour on this task. Research ethical quandaries and thought experiments online. Think about potential outcomes, and how they fit with your understanding of morality, then how they fit with your understanding of the legal system in your country. Spend no more than 1 hour on this task.